What's better then Blue Raspberry candy? How about Blue Razz vape juice from Pop Clouds, a juice that will explode in your mouth with sweet raspberry, finished by a sour kick on the exhale. Sweet and tangy, this is the culmination of the classic blue flavor everybody loves in a vape juice, made for enjoying all day long. 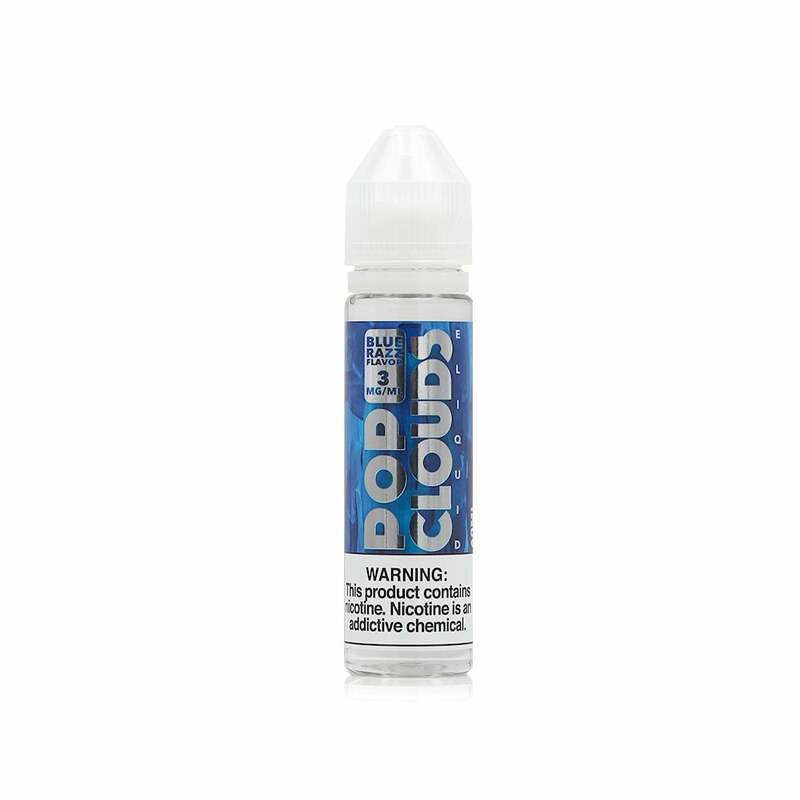 Blue Razz Vape juice from Pop Clouds comes in 60ml bottle, and is available in 6mg (.6% nicotine), 3mg (.3% nicotine), and 0mg (nicotine free).